This year’s Masters Tournament is in the books, with first-time champion Patrick Reed donning the green jacket. We saw the return of Tiger Woods to the fairways of Augusta National Golf Club, and Jordan Spieth nearly pulling off a record-breaking performance. In my eight years with Buffalo, I’ve been fortunate enough to attend 20 major golf tournaments ranging from The Masters, PGA Championship, U.S. Open, Ryder Cup, Presidents Cup, Solheim Cup and more. 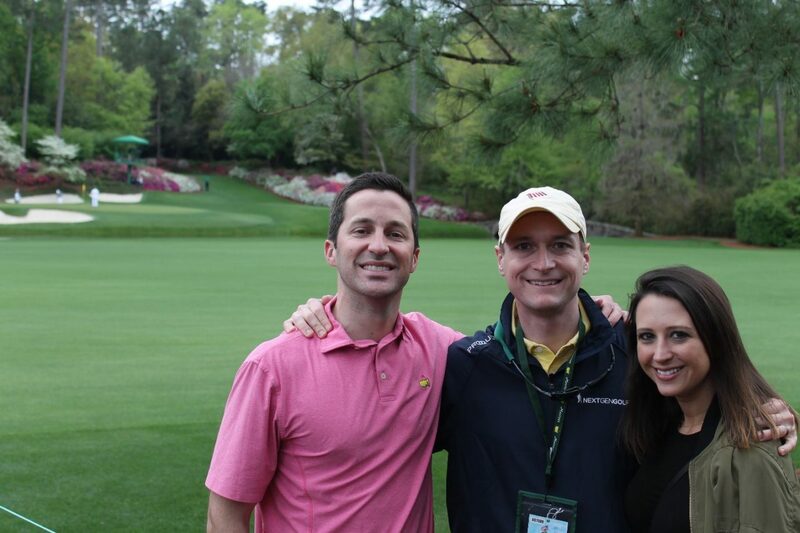 This was my fourth Masters Tournament, and this year was just as impressive as the first time. Don’t forget to get your free picture taken in front of the clubhouse as cameras are only allowed Monday-Wednesday! There are many factors which make Augusta National Golf Club so unique. It is a once-in-a-lifetime experience from the moment you walk through the gates until you depart the grounds. Every detail is accounted for. Naturally, the conditioning of the course is impeccable but – from a marketing perspective – signage and brand consistency is also perfect. Everything representing the tournament is so clean and crisp that I’d be shocked if a patron was able to find one item out of place. Hospitality is the utmost importance with exceptional prices on food and drinks, with the $1.50 Pimento Cheese Sandwich and $2.00 Georgia Peach Ice Cream Sandwich being my favorites. Augusta National Golf Club opened a new Press Center in 2017 and Merchandise Store in 2018, both of which are incredible additions. 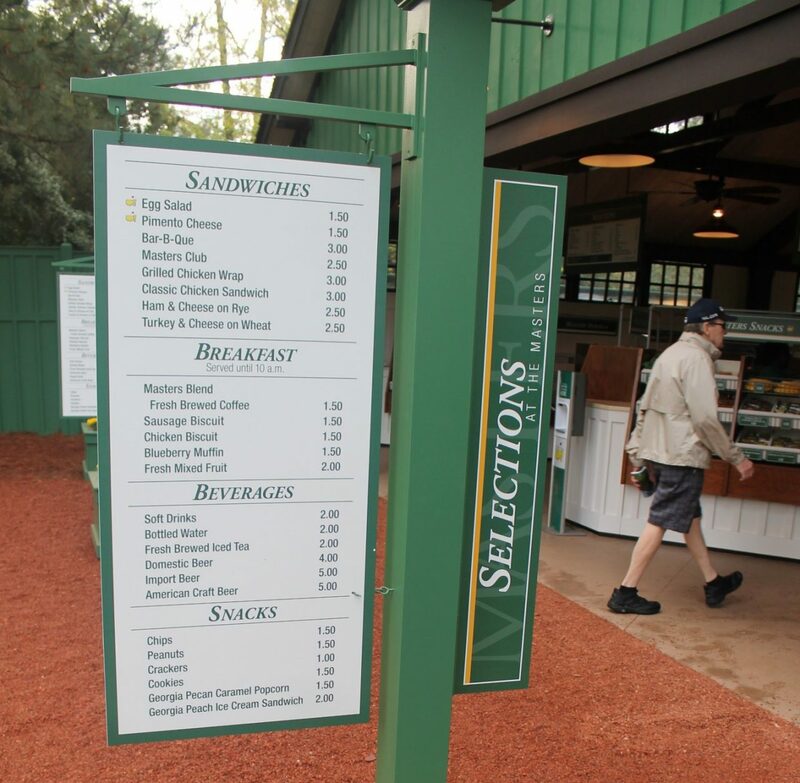 Food prices at The Masters – buy the entire menu for just $53! World Golf Foundation has been a partner of Buffalo since 2012 and Augusta National Golf Club sits on its Board. Steve Mona, CEO of World Golf Foundation, has attended the last 30 Masters dating back to his executive roles with the Georgia State Golf Association and Golf Course Superintendents Association of America. In our PR role with World Golf Foundation, our team arranged several conversations with Steve and prominent media members. Additionally, I was fortunate enough to attend the Golf Writers Association of America meeting on Wednesday evening, where important golfers such as Justin Thomas, Lexi Thompson, Bernhard Langer, Stacy Lewis and Ben Crane were recognized with annual awards along with media from Golf Channel, Golf Digest, GOLF Magazine, Golfweek and more. L to R: Glenn (Buffalo.Agency), Kris Hart (CEO, Nextgengolf), Jane MacNeille (Director or Corporate Communications, Greg Norman Company and former Buffalo). All three are members of the GOLF 20/20 Millennial Task Force. 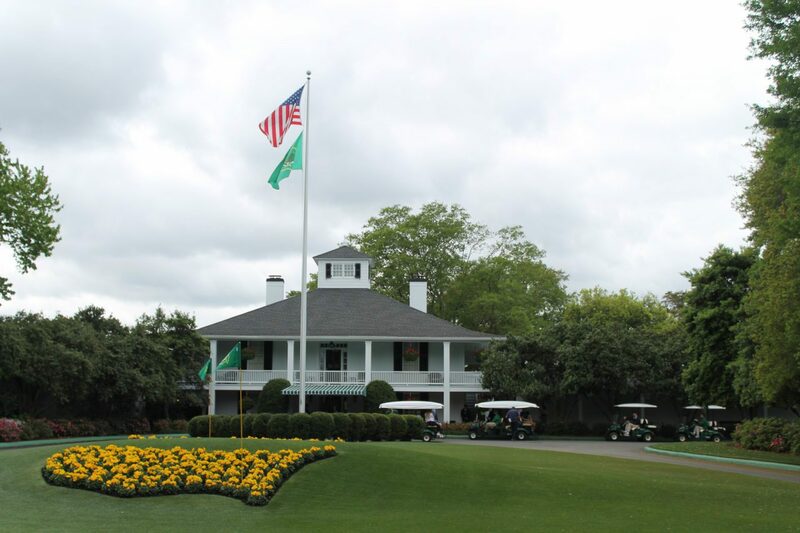 If you missed part one of our series from the Masters Tournament, you can find it here.